The Welsh Grand National is the Festive period's premier betting heat with a huge field set to line up for the 3m5f handicap chase on December 27. Last year's emphatic winner Raz De Maree is primed again, but features way down the Welsh Grand National betting this time, as Colin Tizzard’s Ladbrokes Trophy runner-up Elegant Escape vyes for favouritism with Ramses De Teillee and Folsom Blue. First held in 1895, the Welsh Grand National is run over the marathon distance of 3m5f, representing a key trial for the Grand National itself, so we're looking for that type of horse when choosing our bets. Earth Summit triumphed in 1997 before winning the Aintree showpiece, Bindaree did so in 2003 and Silver Birch in 2004, with 2010 and 2016 winners Native River and Synchronised going on a different upward trajectory to win the Cheltenham Gold Cup. The Welsh Grand National entry with the shortest Grand National odds is Vintage Clouds, who is priced no bigger than 25/1 with Betway to win the Grand National, and is 12/1 with the same firm for Thursday's big test at Cheptstow. Elegant Escape (7/1 Black Type) is similar in many ways to stablemate Native River, who won the Welsh National two years ago, in that he is a young horse open to improvement, having placed in the Ladbrokes Trophy at Newbury. He was tipped up antepost at 12/1, as was Otago Trail (who is still 25/1 with Coral, but his odds at this stage look on the short side, so it might be worth siding with a proven mudlark at a bigger price, ground forecast to be heavy. Baie Des Iles (14/1 Black Type) was well supported for this year's Grand National at Aintree, and while she was never able to land a blow that day finishing 12th, she has strong form in soft-ground handicap chases like the Welsh National. She won the 2017 renewal of Punchestown’s National Trial over 3m4f on soft ground and finished third in the same contest this year on heavy. In fact six of her seven career wins came on ground described as no better than soft, her seven placings coming on ground described as 'very soft' or worse. 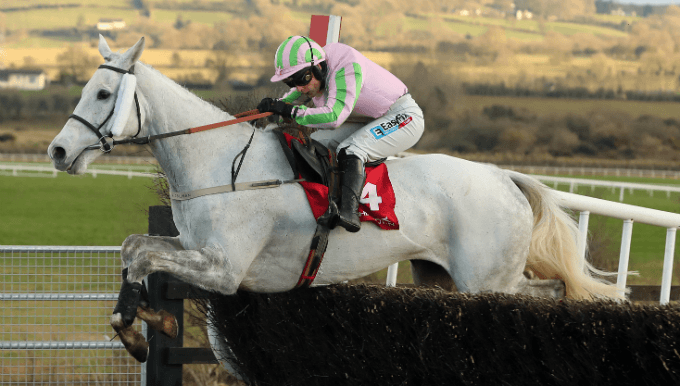 Trained in Ireland by Ross O’Sullivan, the grey mare ran well for a long way on her most recent visit to Auteuil in France last month, before showing that she lacked a recent run. She was officially beaten in excess of 50 lengths, but was heavily eased by jockey James Reveley that day and should have come on a lot for the outing. Attempting to become the first mare to win the Welsh National since L’Aventure’s success 13 years ago, the grey finished fifth to Native River in 2016, but connections have since changed the way she's ridden in races with success. She was ridden from well off the pace that day and has since proven to be more effective when racing prominently, which should help in a race of this nature. With at least four places being paid out on by bookmakers, she's an excellent each-way bet. Vieux Lion Rouge (20/1 Black Type) is best known for his exploits over the big Grand National fences at Aintree, a course he has run over six times in his last seven outings, winning the 2016 Becher Chase. It was in this season's renewal of that contest that the nine-year-old made his seasonal debut, running well to finish runner-up to Walk In The Mill on soft ground. The David Pipe-trained stayer has had his recent campaigns centred around return visits to Aintree for the Grand National in the spring, a race which he’s contested three times, finishing seventh in 2016, sixth in 2017 and a well-beaten ninth this year. Vieux Lion Rouge equally as effective over regulation fences, however, with his most recent victory in that regard coming in Haydock’s Grand National Trial over an extended 3m4f on good-to-soft going in February last year. He races off the same handicap mark as he did at Aintree last time out, which is also the same rating he had when winning at Haydock, so with him also being versatile ground-wise he's a great bet in Thursday's Welsh Grand National.